Do You Want to promote your Social business Page or Brand? 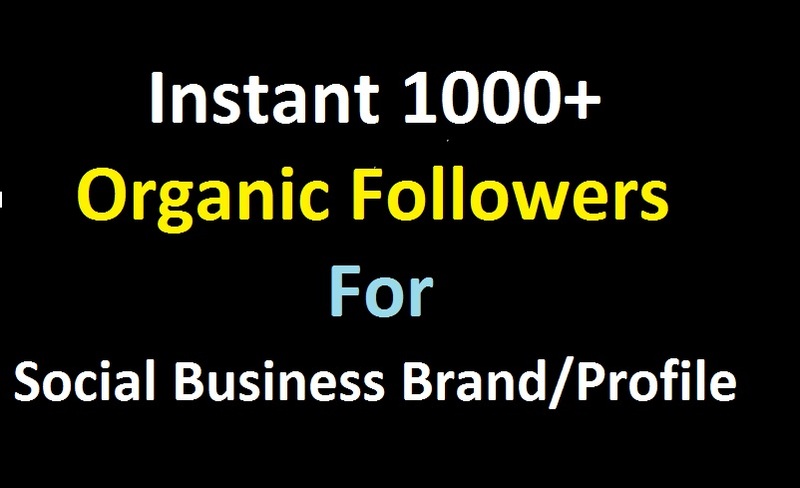 You Are looking for instant Social Business Brand Followers Promotion Service? If Yes, Currently you are in right place. We Provide 1000+ Social Business Brand or page Followers for Your social media Promotion. Non-Drop Views, No Risk ! Real audience with unique ip. Never need any admin access. After Start, You cant to Change Your Link. If You Change Your Link, Then it will be Mark as Completed. Your Profile must be Public. Read carefully above details before placing any order. If you have any doubt please contact me before placing the order to avoid any misunderstanding and inconvenience. Feel free to send me a message if you need a custom offer.